Getting enough good stuff in your diet can be so difficult these days with our increasingly demanding lifestyles. This is an excellent value for money food supplement compared to other green supplements on the market. 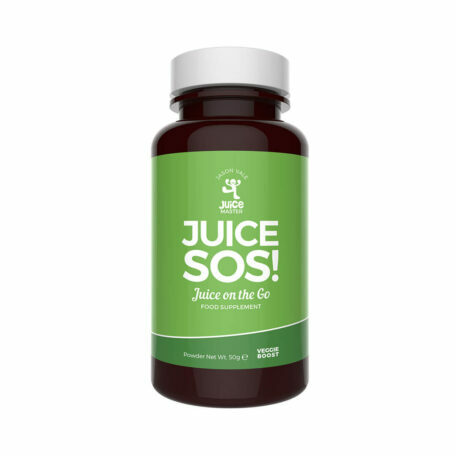 Also known as Powergreens or Ultimate Green Superfood we wouldn't be putting the Juice Master Name to any other. SKU: SU110. Categories: 14 day forgotten, 3 day forgotten, 5 day forgotten, 5:2 forgotten, 7 day forgotten, During Your Juice Programme, General forgotten, Supplements. Adults take one (1) heaped teaspoon (5g) per day. Can be blended with juices, smoothies or pure water. Servings per bottle: 10. No Artificial Sweeteners *Contains naturally occurring sugar. FOOD SUPPLEMENTS SHOULD NOT BE USED AS A SUBSTITUTE FOR A VARIED DIET. DO NOT EXCEED THE RECOMMENDED DAILY DOSE. KEEP OUT OF REACH OF CHILDREN.